That would grow the number of known planets beyond our solar system by factor of five or more, but it’s not all about expanding the exoplanet catalog. 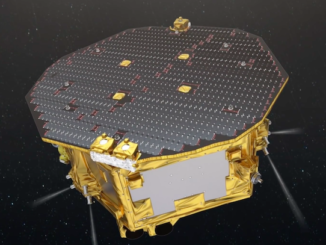 The mission will primarily look at M-dwarf stars, which are smaller and cooler than the sun, and make up the majority of the stars in the Milky Way galaxy. 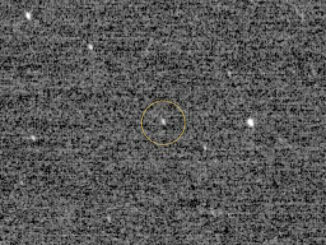 Also called red dwarfs, the stars that are TESS’s focus have not been thoroughly investigated to determine whether they harbor their own solar systems. 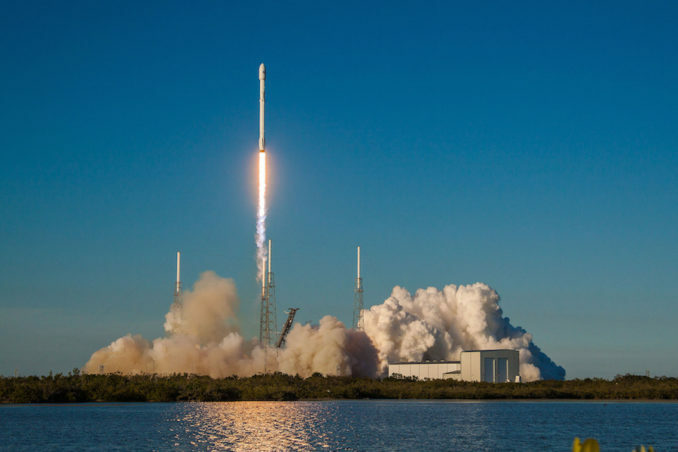 Since its April 18 launch, TESS has maneuvered into a unique orbit in gravitational resonance with the moon that takes the spacecraft between distances of 67,000 miles (108,000 kilometers) and 233,000 miles (376,000 kilometers) from Earth. In that orbit, TESS makes one loop around Earth about every two weeks. 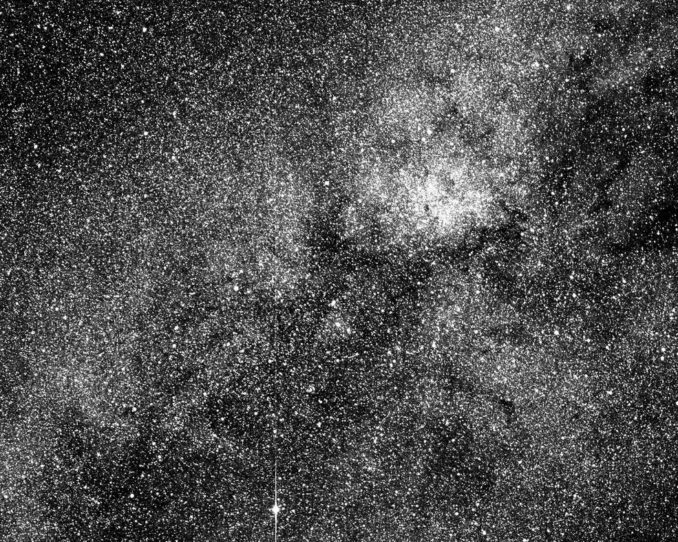 The first set of science data from TESS will be downlinked to Earth in August, and NASA said astronomers will immediately begin analyzing the imagery. 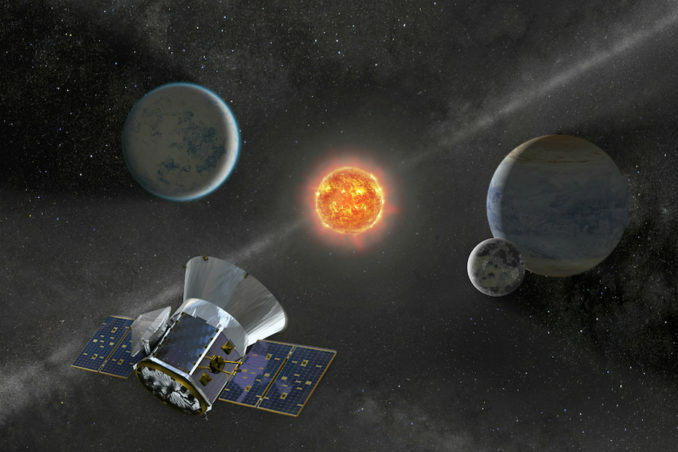 Software will help scientists cull the data and detect transit signals from exoplanets. 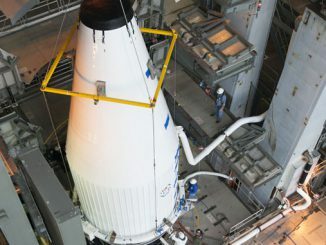 Built by Northrop Grumman Innovation Systems — formerly known as Orbital ATK — TESS fired its thrusters multiple times, and used a gravity assist flyby of the moon May 17, to reach the $337 million mission’s final orbit, a stable perch that requires no further rocket burns and which passes close enough to Earth to transmit full frame images from the craft’s science cameras through a high-speed Ka-band downlink. The orbit also keeps TESS away from the damaging influence of the Van Allen radiation belts.